This is the first of my Nine Guiding Principles. About 10 years ago Tom Churchwell, a VC in the Chicago area, said to me, “I’ve never seen a technology company fail because of the technology.” I’ve come to really understand this statement since I’ve now seen first hand, time and again, technology startups that manage to get their technology to work correctly yet still flame out. What happens is that the founders, who are often technologists, are focused on making sure they can get the technology to work, but the businesses fail because they didn’t take the time to really understand the needs and motivations of their target customer audience. I won’t call this a “build it and they will come” phenomenon because I think that’s insulting (even though it happens). Rather I’ve learned first hand that its hard, make that REALLY hard, to understand how customers will respond to new technology…especially if the team doesn’t have anyone with domain expertise from the customer industry. The list of products that get to market, but which aren’t positioned properly, priced correctly, promoted through the right channels or provided with the correct customer support are legion. This is such an ever present problem, that a whole new way of thinking about startups is emerging. I am excited and proud that a company I am starting was just accepted into the new National Science Foundation I-Corps (Innovation Corps) program. The program is based on the Lean Launchpad curriculum created at Stanford by Steve Blank and others. 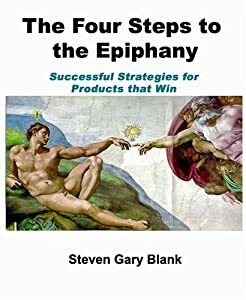 I haven’t read Steve’ book yet, The Four Steps to the Epiphany, but as I understand it, the central thrust of the lean startup methodology is about getting out of the office and learning from your customers what they need. Then you develop a framework for getting customer feedback and cycles of learning so that you can adjust as needed (i.e., pivoting) until you find a business model that works. I heard Eric Ries speak the other night in Chicago about his new book, The Lean Startup, which is already a bestseller and it hasn’t come out yet. I was blown away at how he has articulately put structure and process around many of the things that I’ve learned through 12 startups. In just about every one, the real pain we experienced was failing to understand our customer’s buying criteria. And we weren’t ignorant of this. Its just damn hard. And it makes or breaks your company. That’s why this is my first guiding principle. The point is that I realized (but unfortunately didn’t write a book) what Steve Blank, Eric Ries and many others are now espousing and that its all about the markets. Technology companies rarely fail because they were unable to get the technology to perform as advertised. But they often fail because no one wanted to buy their product at the price point offered through the channels they chose. I predict that a renaissance is about to occur, somewhat catalyzed by Eric’s book which everyone will be talking about soon, that the art of doing a startup is about understanding your customer. Even though I’ve learned these lessons in the school of hard knocks, I’m expecting to learn a ton when I go to Stanford in a few weeks to attend Steve’s class. I’ll blog about the experience. Please subscribe to this blog (there’s a box in the right column) if you’re interested in getting automatic updates.